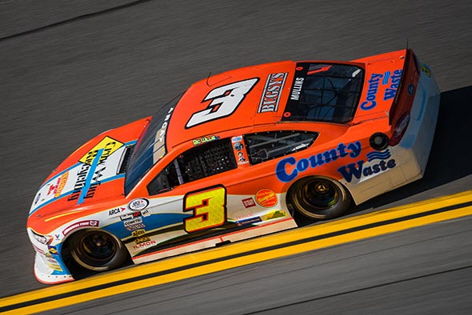 DAYTONA BEACH, Fla. (2/11/19) – Willie Mullins and Mullins Racing failed to finish Saturday’s ARCA Menards Series opener at Daytona International Speedway following an early incident. The contact turned Self sideways and he came down across the track and brought Mullins’ No. 3 County Waste/Crow Wing Recycling Ford off the track and into the grass. After limping his car back to the pits, Mullins’ crew quickly realized the damage to the car was terminal and he would be forced to retire from the race after three laps.